Previously Neofuscelia pulla. 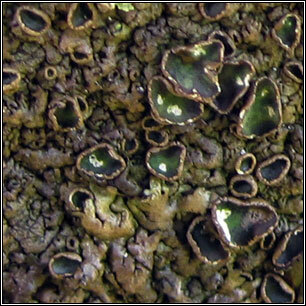 Growth type foliose. 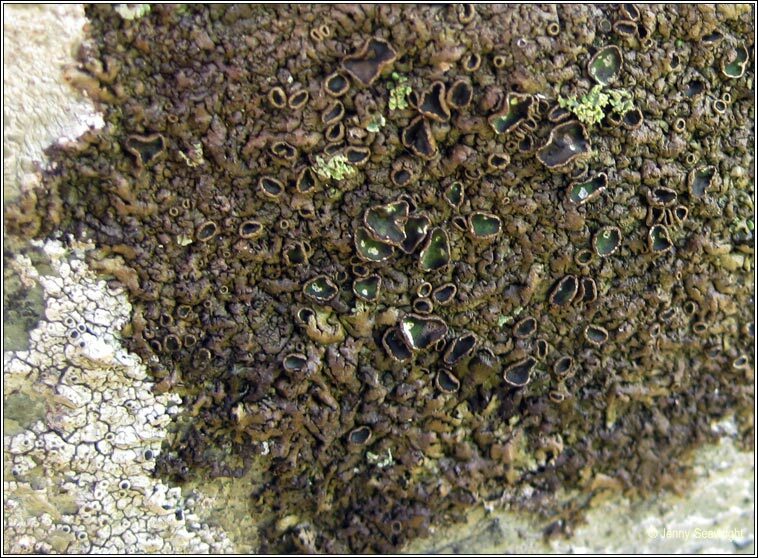 Large grey-brown to dark-brown thallus with +/- adpressed lobes not widening at apices, faintly reticulate. Underside black with sparse rhizines, tan towards edges. 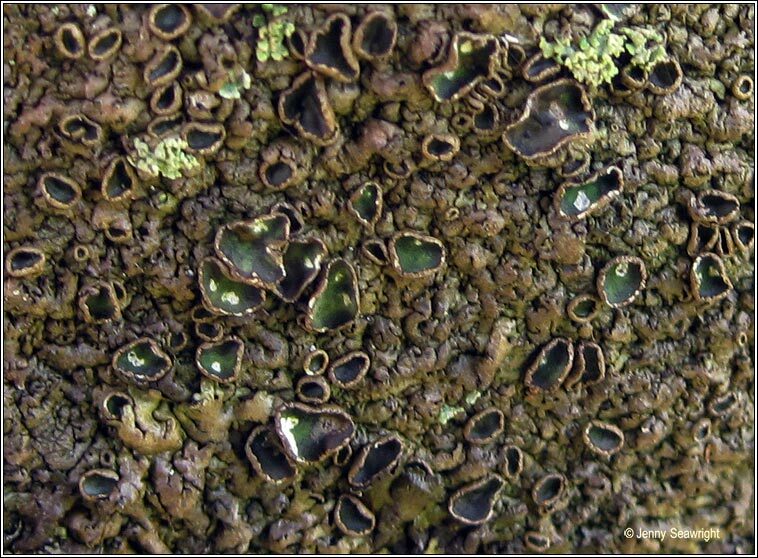 Dark-brown apothecia are usually present, the entire margins becoming thin and distorted. Isidia are absent. The asci are 8-spored, spores simple, ellipsoid, 5.5-14 x 3.5-8 µm. 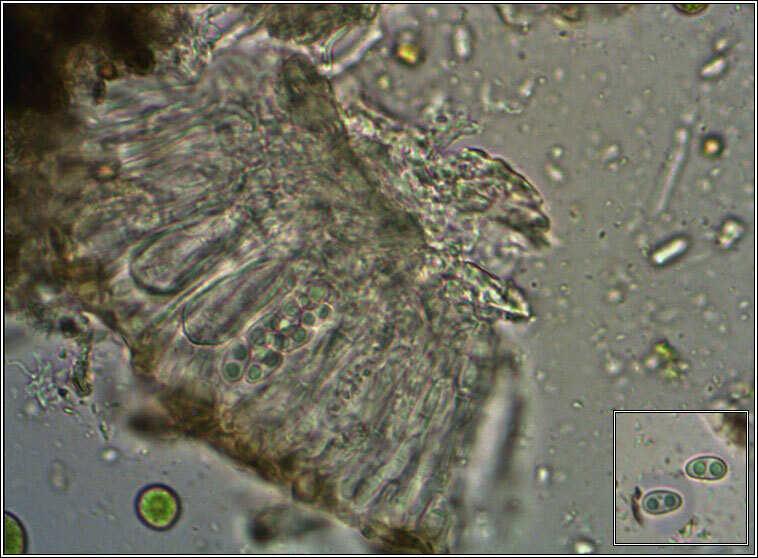 Micro photo below, the spores 10 x 5 µm. Usually coastal on well-lit siliceous rocks above HWM. Medulla K-, C+ pinkish-red, KC+ pinkish-red, P-, UV+ white. Chemical reactions can be variable.